We provide quality auto glass windshield repair for Hamilton, Burlington, Dundas and the surrounding area. 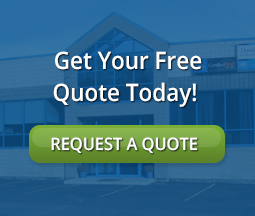 We can advise you on whether the windshield can be repaired or needs to be replaced. This will depend on the size and position of the windshield stone chip, or windshield crack. Did you know that windshield repair is better for the environment as windshields are non-recyclable. Contact us today for a free windshield repair estimate! Our Hamilton auto glass shop offers AQUAPEL windshield treatments. Aquapel® treated glass provides clearer vision in the rain. This innovative technology is a long-lasting rain repellant that is especially equipped for auto glass repair.